We’re well into the holiday season, but I don’t think it’s too late for my good friend Mr. Pumpkin quite yet. I’m still not over it. Snowed in today? I have the perfect recipe for you. And I bet you have everything you need to make it already! 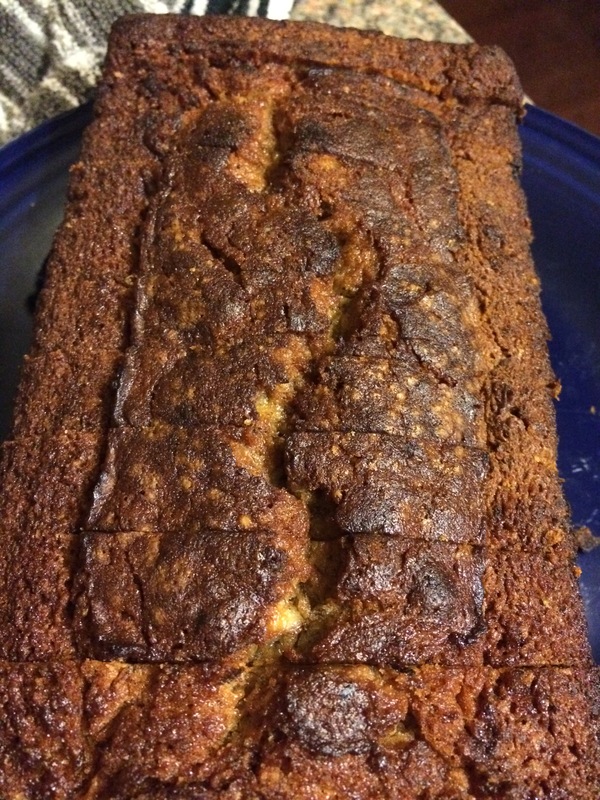 I have discovered the most spectacular warm and fuzzy snow day recipe with this Chai Spiced Banana Bread. It is just so. GOOD. 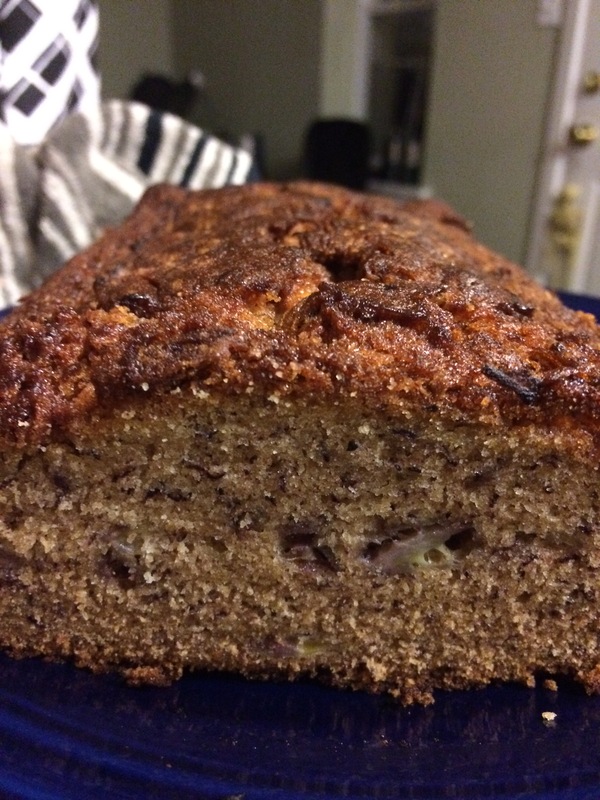 The base of this recipe comes from my all time favorite recipe from my Mom- her Banana Bread can be made in literally five minutes, and it is awesome. I took our normal Banana Bread recipe and jazzed it up today with some of our favorite Chai spices. The amount of spices in this recipe are just enough to make it special without being too overwhelming. If you want more of a punch, add more of each spice. Mash Bananas with a fork. Combine and mix the dry ingredients in a bowl. Add the bananas and the rest of the ingredients. Stir until combined. Pour into a sprayed loaf pan and bake in the oven for 1 hour. Remove and rest on a cooling rack. Remove from pan and slice, serve warm. Enjoy this banana bread for breakfast or even dessert 🙂 Stay warm! Sliced up and ready to go. I love the texture on the top… the best part! Magically Fluffy but Dense. Perfect balance. I couldn’t think of a better way to get back into my blogging routine than an amazing Secret Recipe Club Reveal! The Secret Recipe Club is a really cool group I joined last winter. Every month, we are assigned a new blogger. 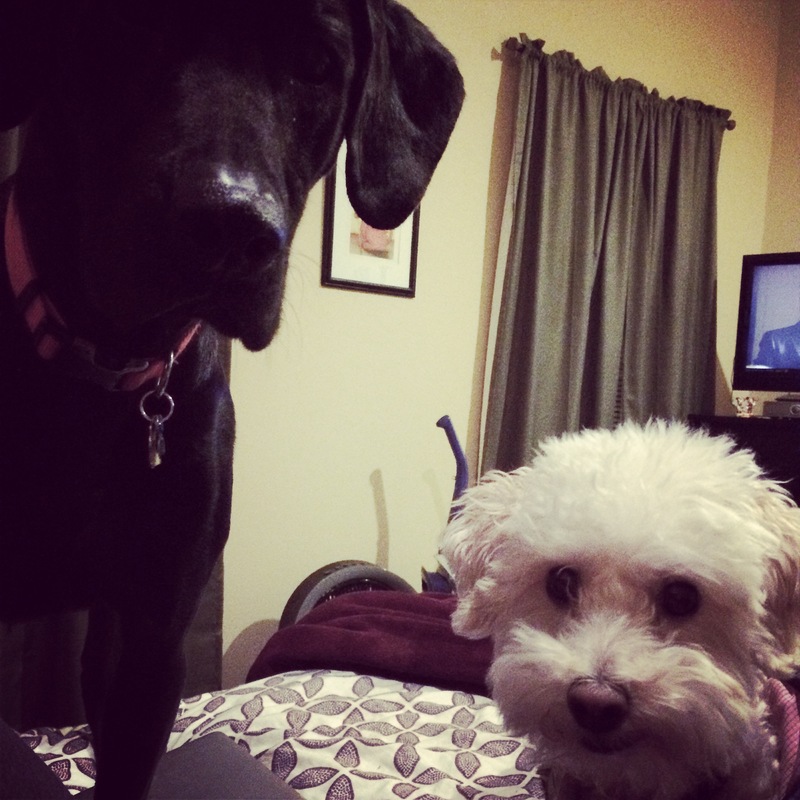 This month, I was paired up a blog called The Life and Loves of Grumpy’s Honeybunch. We get to pick ANY recipe that blogger has written about and cook it up ourselves. We can make adjustments according to our tastes too. All of the bloggers post their results on the same day and we all get to see who had who and more importantly, what delicious dishes were made! You’re probably going to laugh at me when I tell you that until today, I have never made Snickerdoodles! Aren’t they one of the most basic cookies out there? 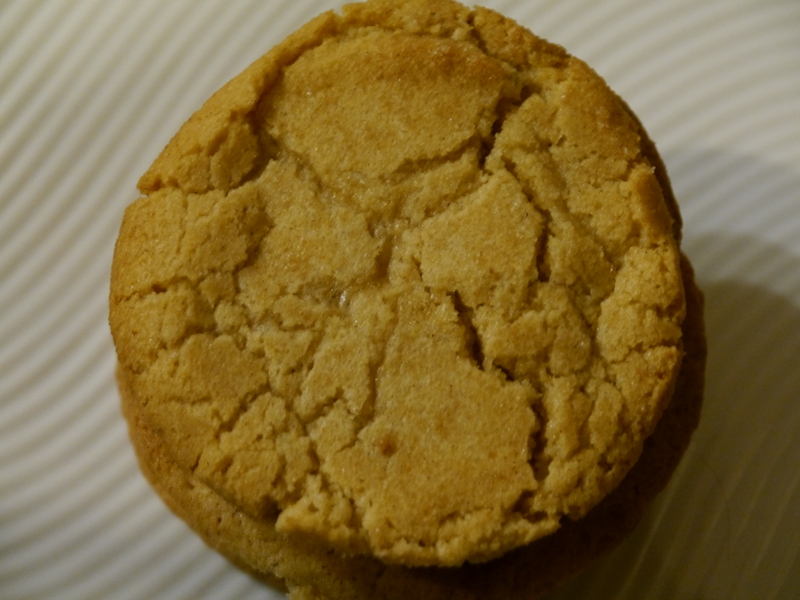 I was so excited when I saw the recipe for these perfect-for-fall classic cinnamon cookies on Honey B’s blog. I made the cookies on Friday night and let me tell you, we only have THREE left! They were a huge hit, YUM! 1 1/2 cups All-Purpose Flour (about 6.75 ounces) <– weigh your flour to make sure you have the correct amount! Combine 3/4 cup granulated sugar, brown sugar, and butter in a medium bowl; beat with a mixer at medium speed until light and fluffy. Beat in vanilla and egg. Lightly spoon flour into dry measuring cups; level with a knife. Combine flour, baking powder, 1/2 teaspoon cinnamon, and salt, stirring well with a whisk. Add flour mixture to butter mixture; beat just until combined. Shape dough into 30 balls. Combine 1/3 cup granulated sugar and 1 1/2 teaspoons cinnamon in a small shallow dish. Roll balls in sugar mixture, and place 2 inches apart on baking sheets coated with cooking spray. Bake at 400° for 8 minutes or until tops crack. Cool on pans 1 minute. Remove from pans; cool on a wire rack. Still in love with my purple faux-silpat! So… if you haven’t noticed… I really don’t bake a lot. So i wasn’t surprised when I thought I completely botched this recipe. 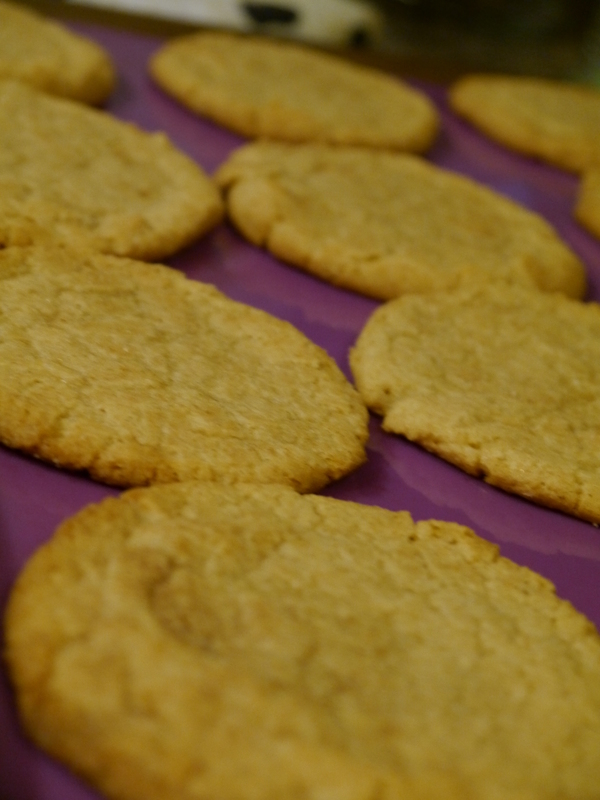 I started whipping up these cookies and when I went to roll them… they were SO wet. They were sticky and were not cooperating at all. I might have messed it up, but when it was all said and done, the cookies came out PERFECT. If this happens to you, don’t panic! Just do the best you can with the balls and cook them anyway, they will probably turn out fine… I mean really… what could be bad?! These cookies are awesome and have already been requested again!